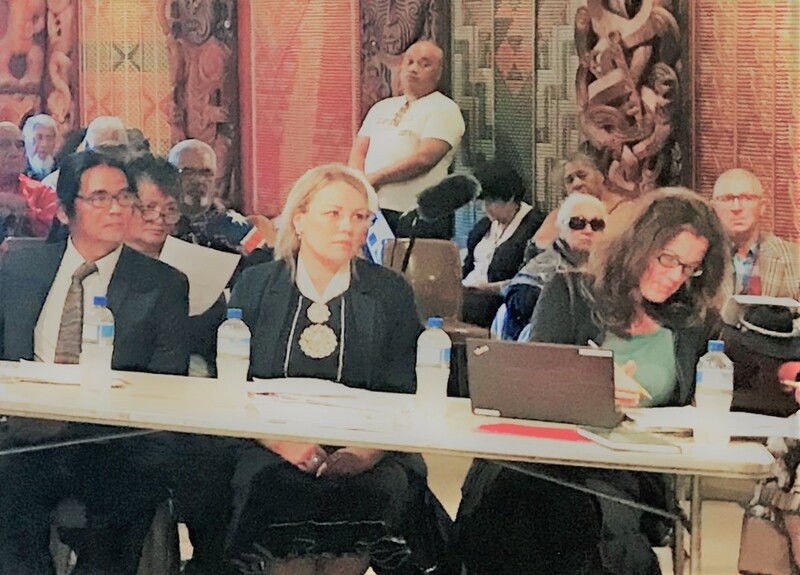 On Monday 8th April, the Independent Monitoring Mechanism of National Iwi Chairs, chaired by Professor Margaret Mutu, and the Human Rights Commission welcomed the United Nations Expert Mechanism on the Rights of Indigenous Peoples to Aotearoa. Following the pohiri at the University of Auckland's Waipapa Marae, Margaret briefed the UNEMRIP on Te Ao Maori pre-European contact, Te Whakaputanga (1835), Te Tiriti o Waitangi (1840), the Doctrine of Discovery, Te Tiriti Framework, National Iwi Chairs Forum and the Independent Monitoring Mechanism that reports annually to the EMRIP in Geneva on the Crown's compliance/non-compliance with the United Nations Declaration on the Rights of Indigenous Peoples (UNDRIP). Haere tonu tatou ki tenei mahi mana motuhake.